Back in June of this year, our Russian prisoner of conscience, Mikhail Khodorkovsky turned 50 years old. Members of Group 48 wrote birthday greetings and sent them to Mikhail in one packet. 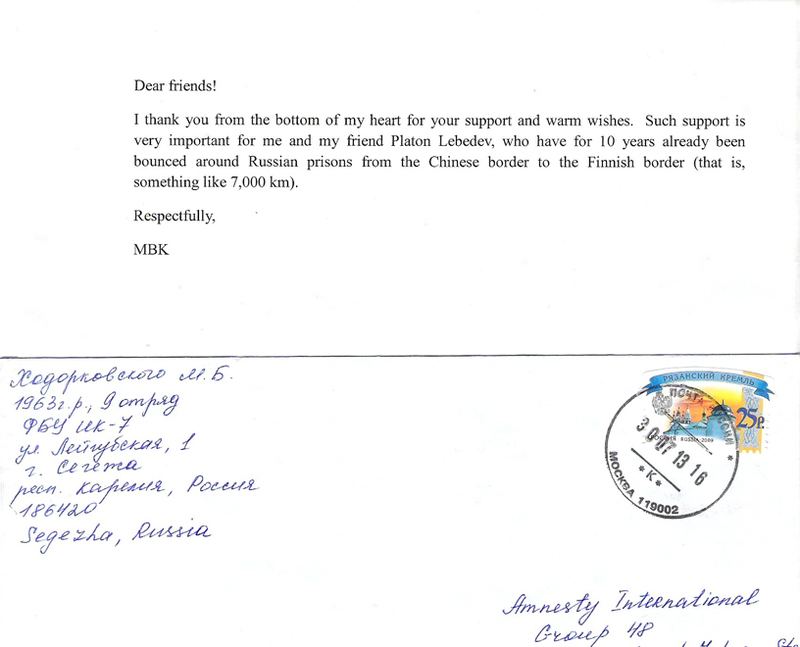 About two months later, a letter from Russia arrived in Portland addressing to Group 48. Mikhail responded to our mail! In the age of social media and mobile phones, hard copy letter writing continues to be the only way to reach prisoners of conscience in the farthest corners of the world. This entry was posted in Russia and tagged Mikhail Khodorkovsky. Bookmark the permalink.